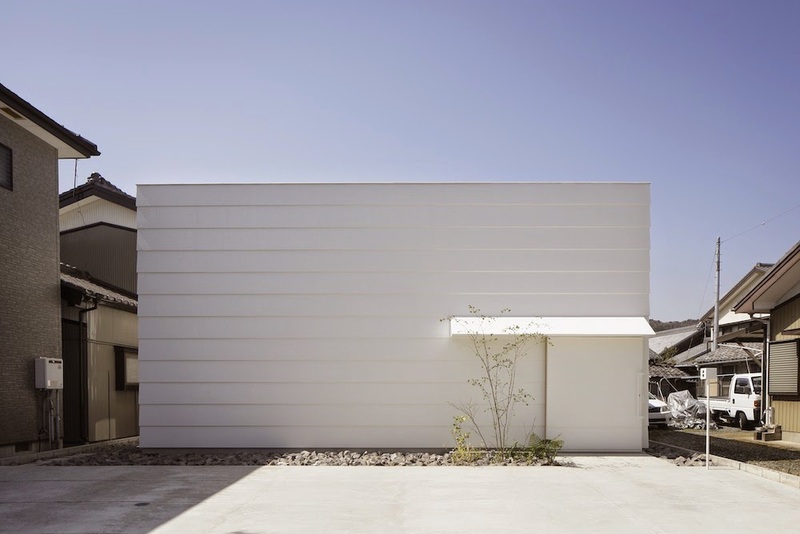 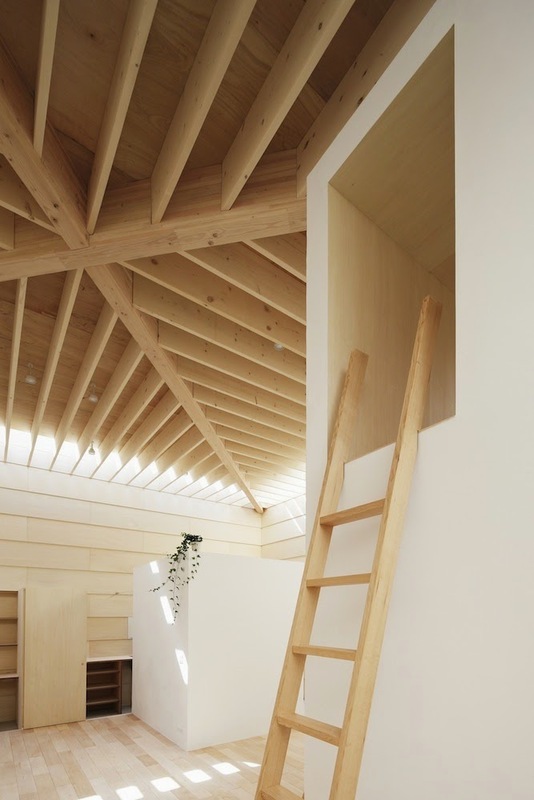 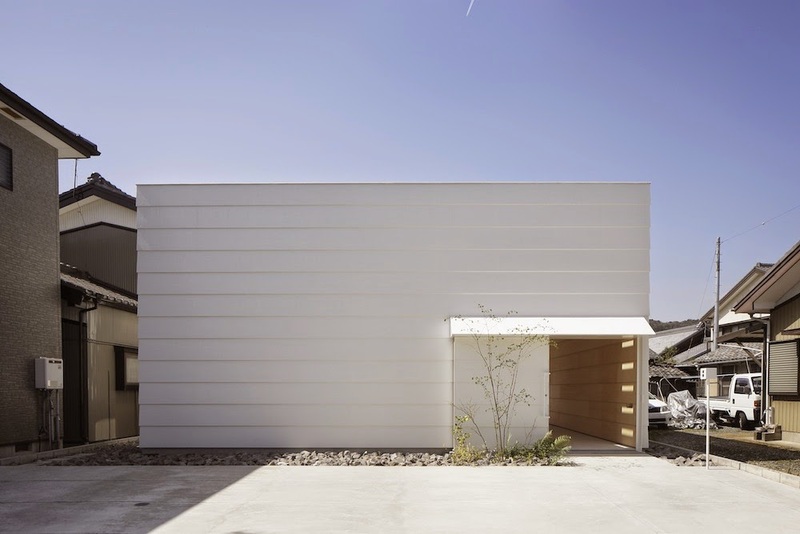 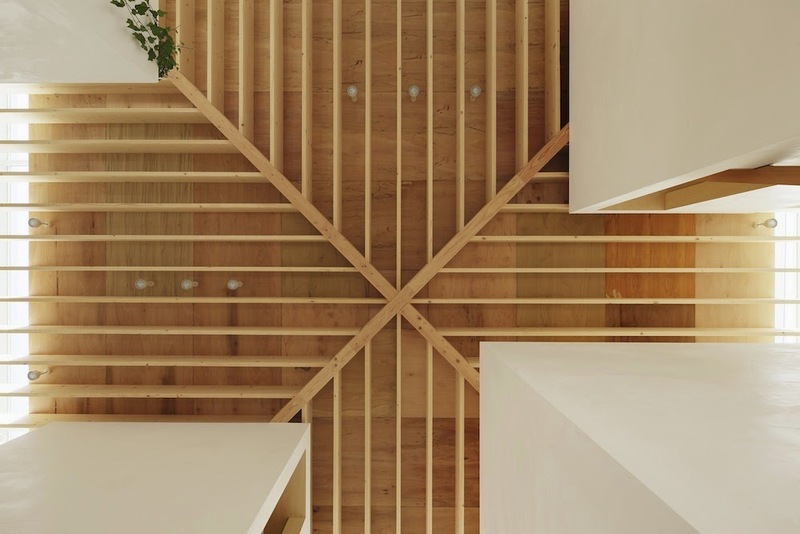 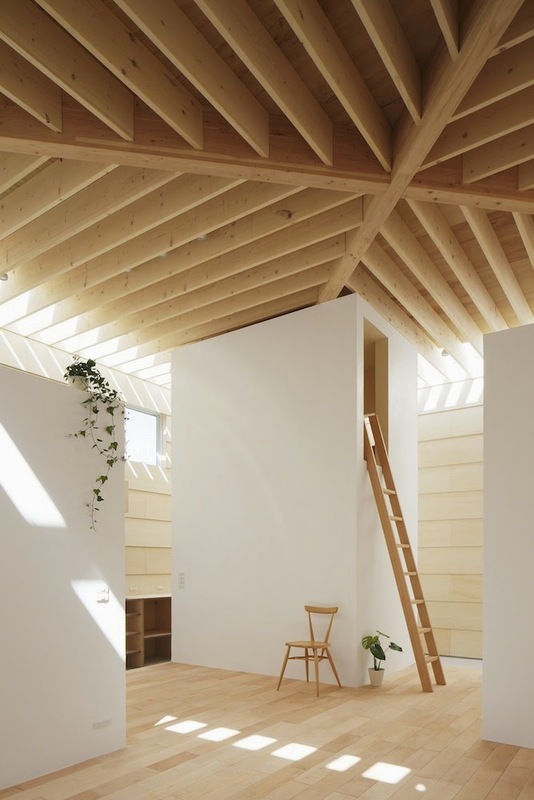 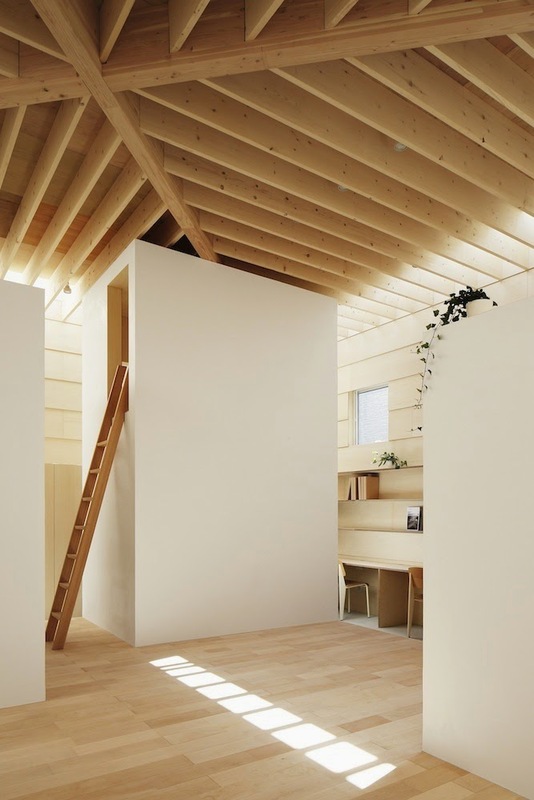 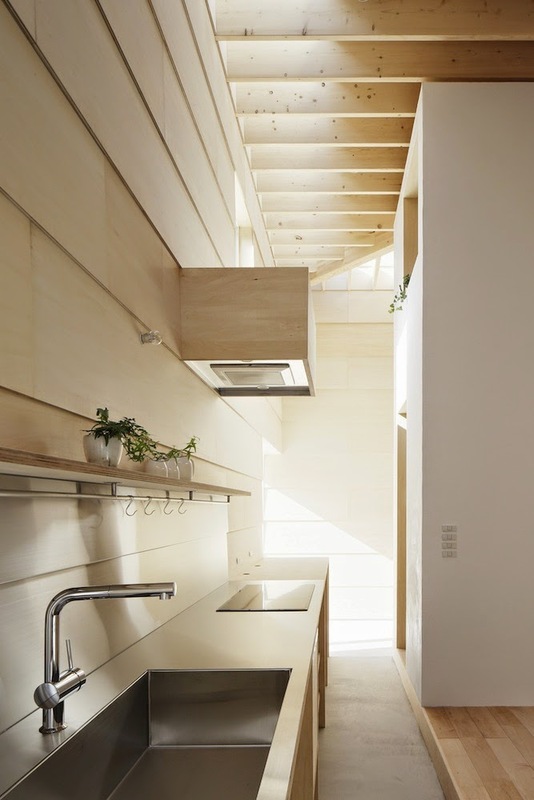 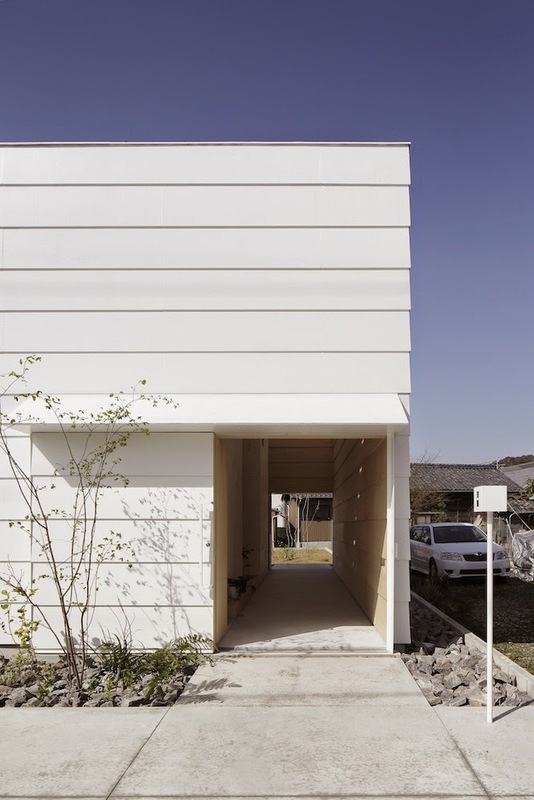 Light Walls House is a minimalist house in Toyokawa, Aichi Prefecture, Japan, designed by mA-style Architects. 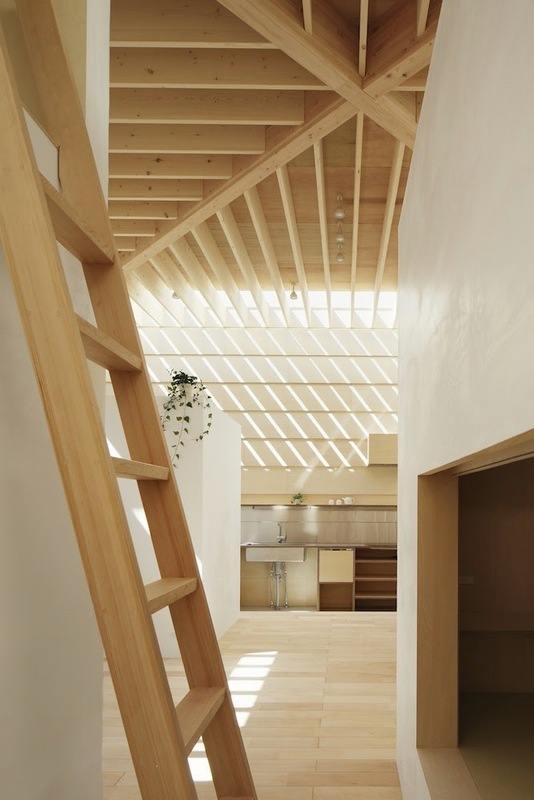 Positioned tightly between neighboring buildings, the wooden house is filled with daylight through perimeter skylights, resulting in a uniform distributed light that creates the a unique, soft and calm atmosphere that makes the exposed wooden ceiling seem almost floating. 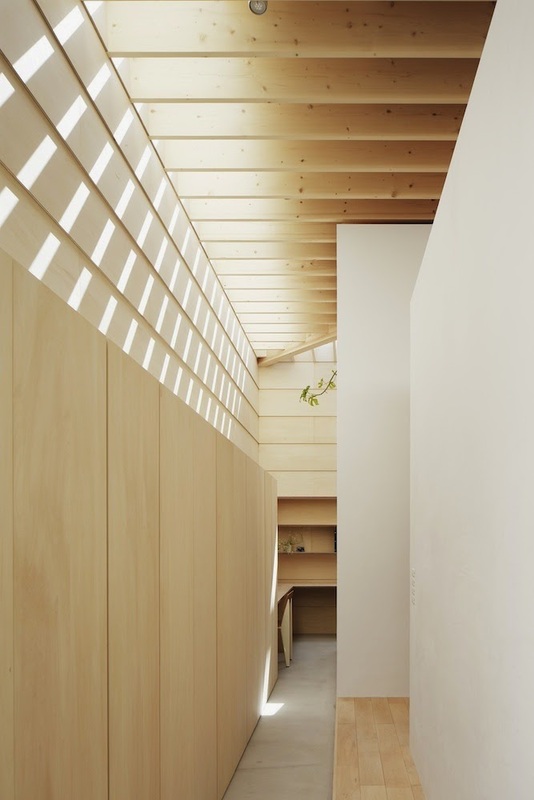 “The site is in a shady location where a two-story neighboring house closely stands on the south side, and even the shade and shadow on the path intensify the impression of darkness. 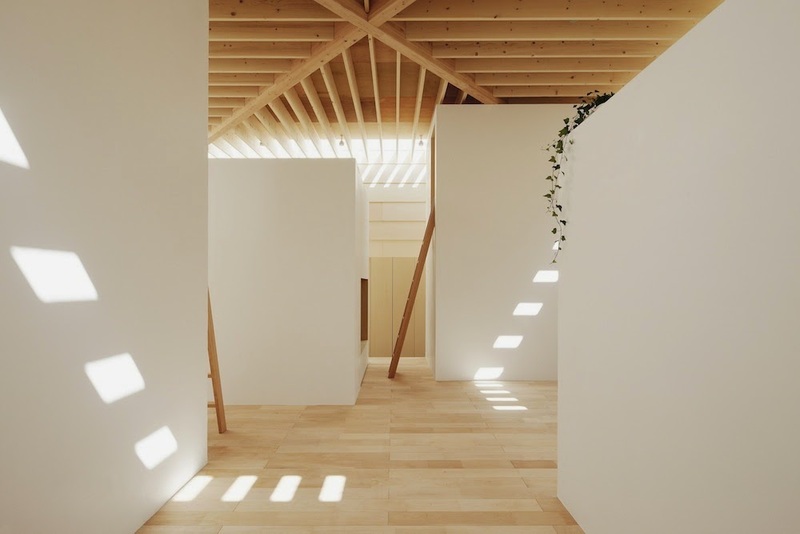 Therefore, the design intended to create a space with uniformly distributed light by adjusting the way of letting daylight in, and the way of directing the light. 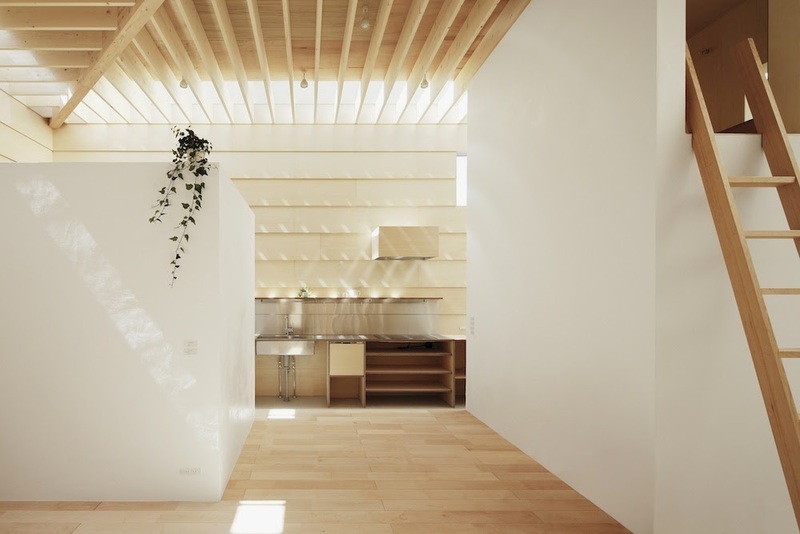 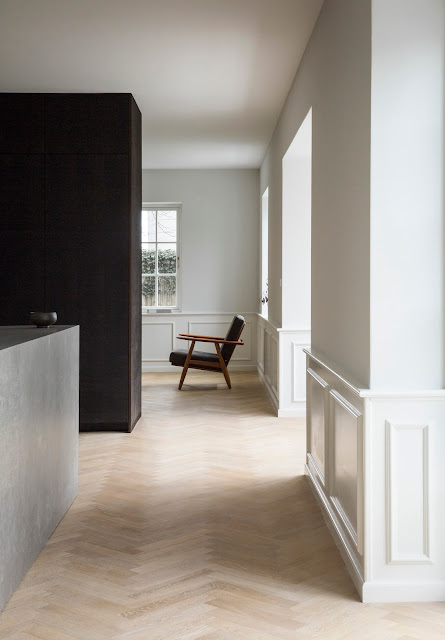 By taking into consideration the space for the residents, the functions for living, and the relationship with the surrounding environment, creation of a diversity and richness in the house was intended by controlling the concept of light. 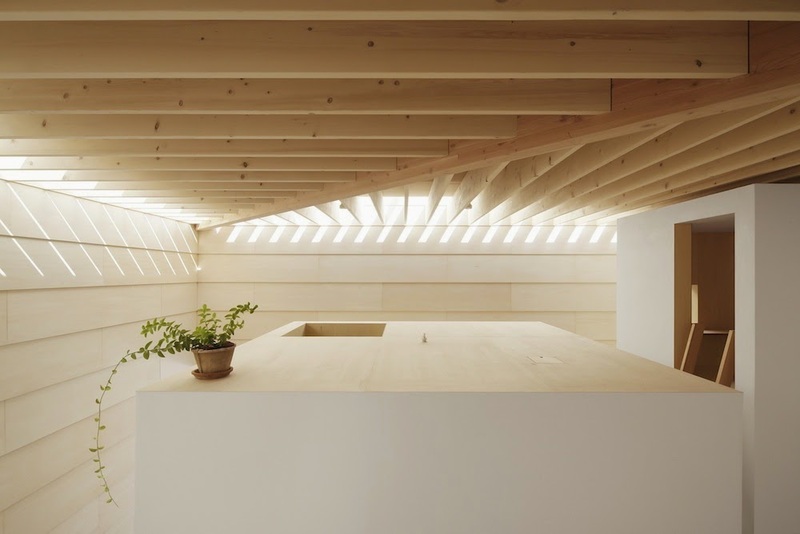 Along the edges of the 9.1m square roof, sky lights are made, as if creating an outline, in order to provide sunlight. 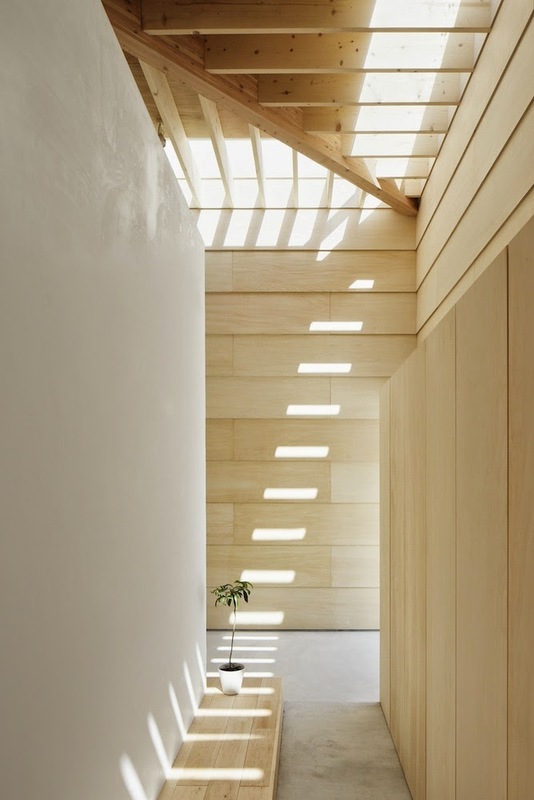 The roof beams narrow the sunlight, and the slightly angled clapboard interior walls with laminated wood reflect and diffuse the light. 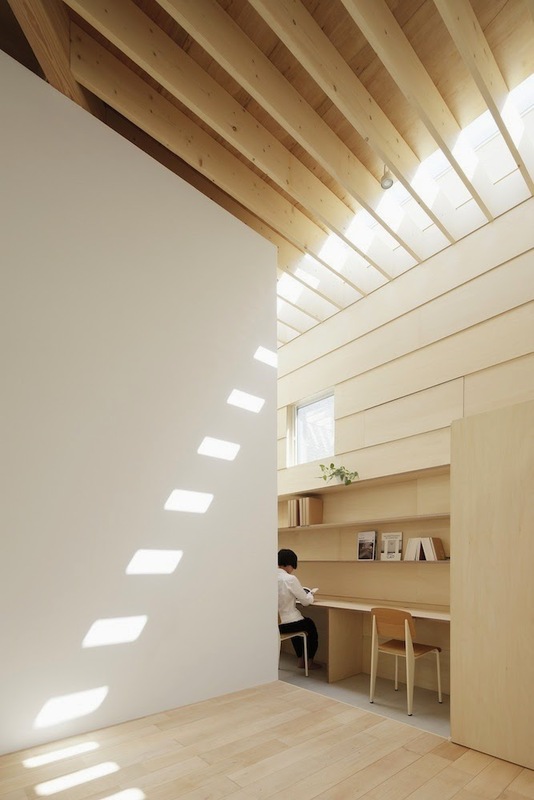 As a result, soft and uniformly distributed light is created and surrounds the entire space. 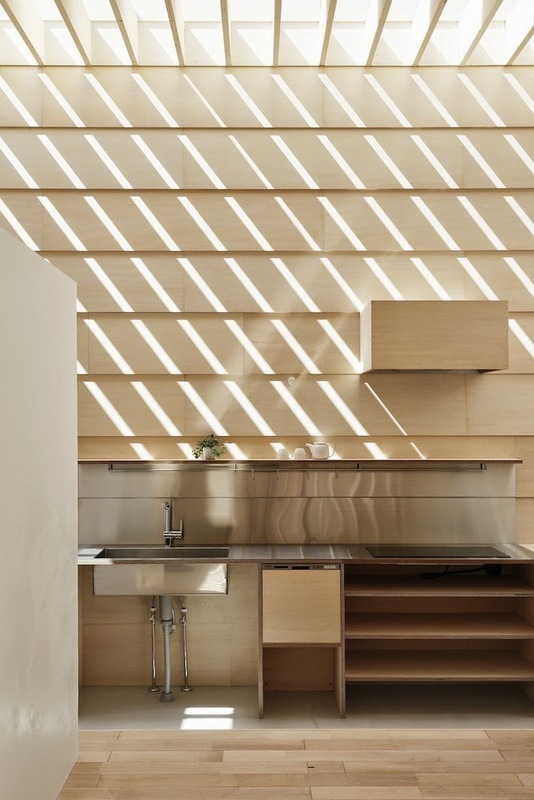 Along the outline of lighting, work spaces such as a kitchen, bathroom, and study are arranged. 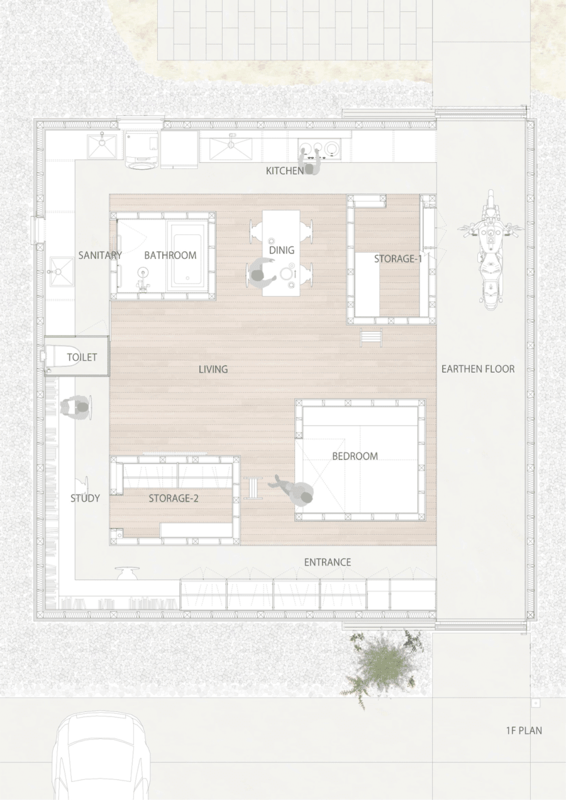 Private spaces such as bedrooms and storage are allocated into four boxes. 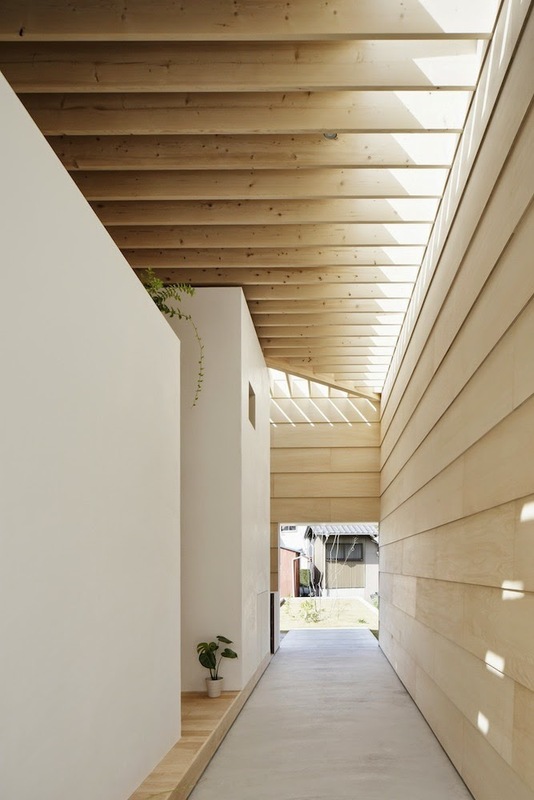 The path-like spaces created between them are public spaces. 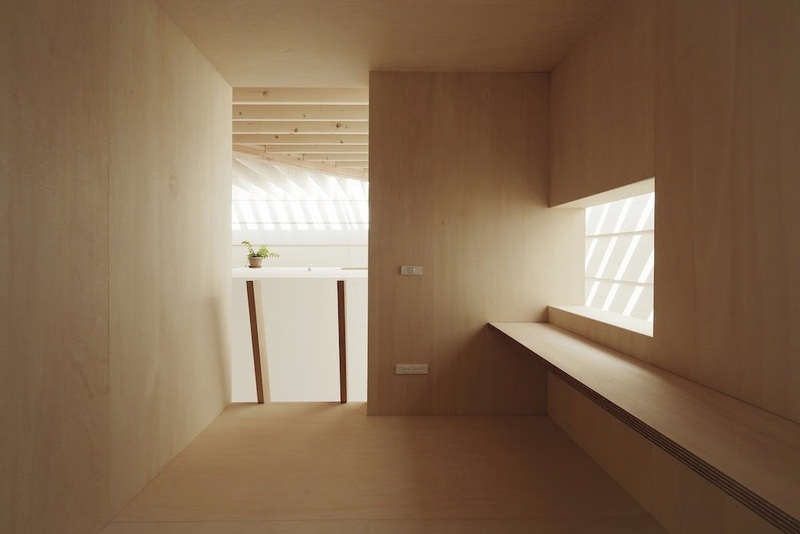 Each box attempts to balance within a large spatial volume. 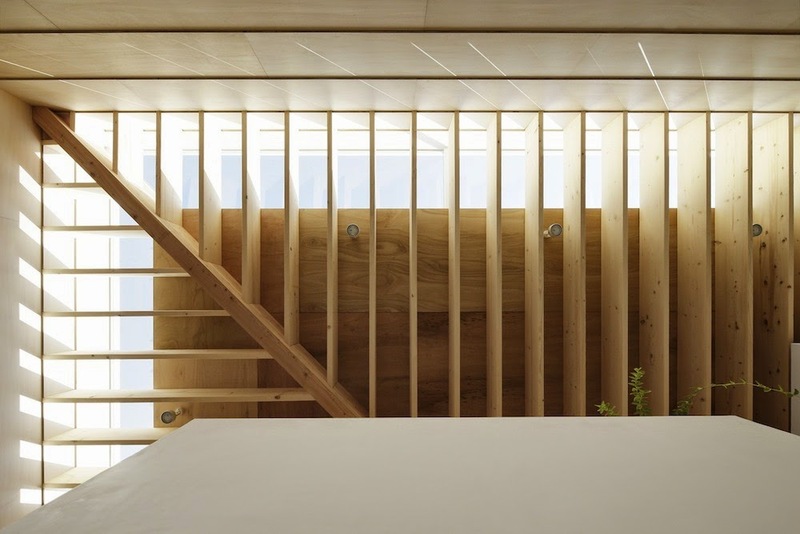 Light coupled with the rhythm of scale raises the possibilities of the living space for the residents. 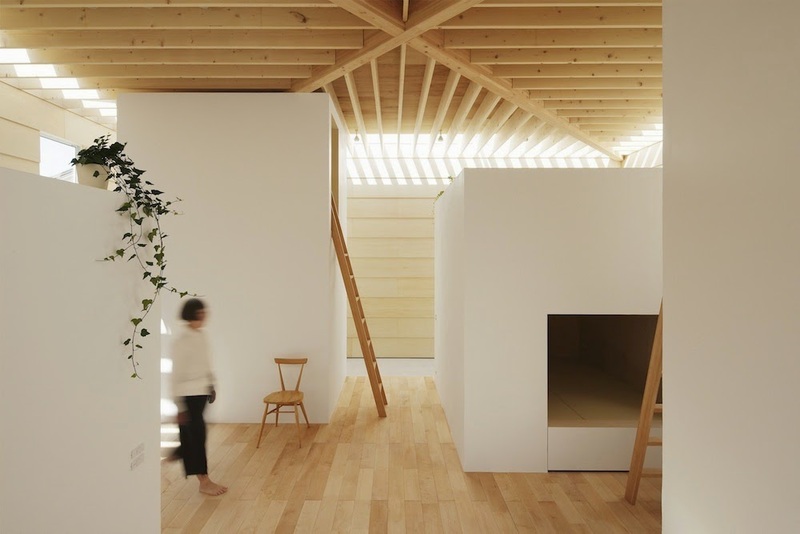 Considering each box as a house, the empty spaces in between can be seen as paths or plazas, and remind us of a small town enclosed in light. 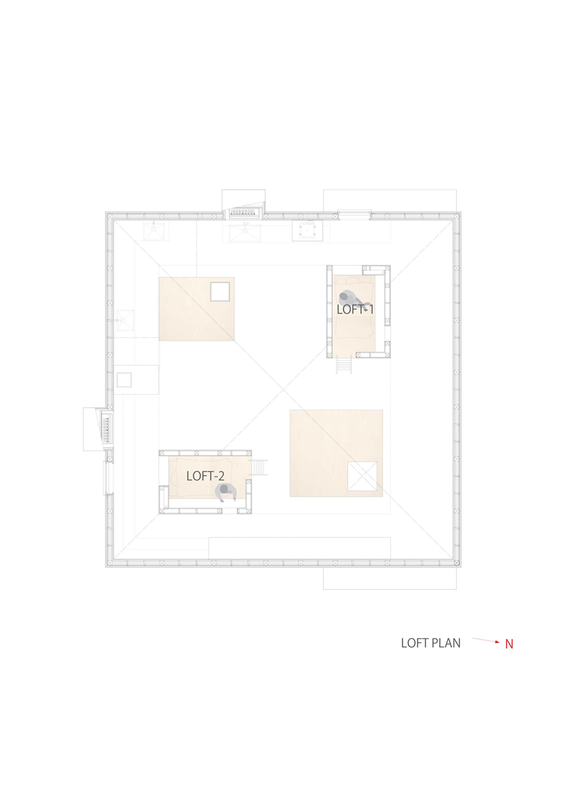 The empty spaces, which cause shortening or elongating of distances between people, are intermediate spaces for the residents, as well as intermediate spaces that are connected to the outside when the corridor is open, and these are the image of a social structure that includes a variety of individuals.